I lined my kitchen cabinets with drawer liner paper. 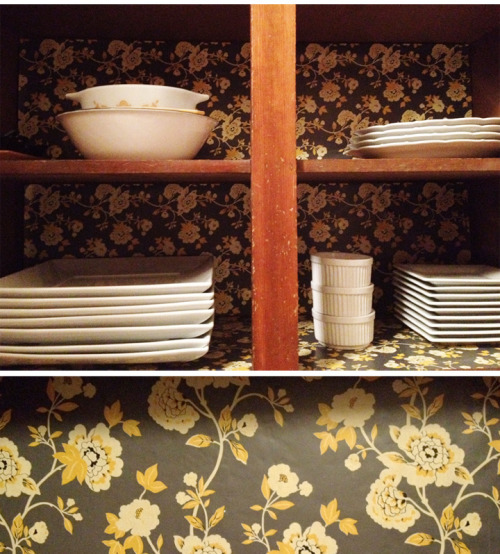 It was an easy alternative to wallpaper (and it matches my drawers). hah! I have to say it really livened up my old cupboards. I put a little piece of strong double sided adhesive in the corners of each sheet that hangs so there are no problems with falling.